Railpictures.ca - Mike Molnar Photo: A CP rail train with a classic SD40-2 leading negotiates the tight curve on the east side of Tilbury. | Railpictures.ca – Canadian Railway Photography – photographie ferroviaire Canadienne. 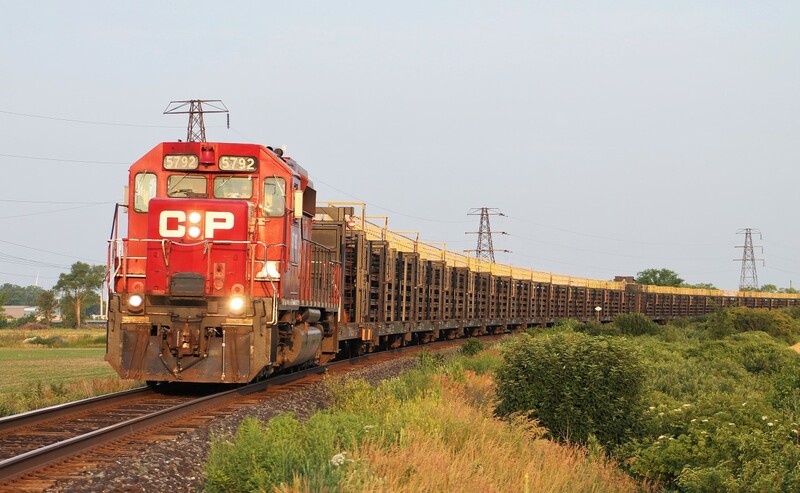 Caption: A CP rail train with a classic SD40-2 leading negotiates the tight curve on the east side of Tilbury.